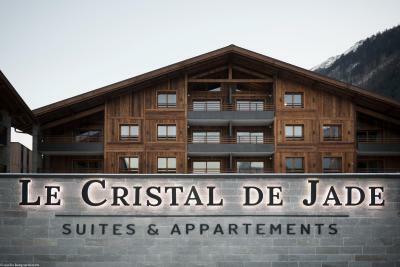 Lock in a great price for Le Cristal de Jade – rated 9.3 by recent guests! 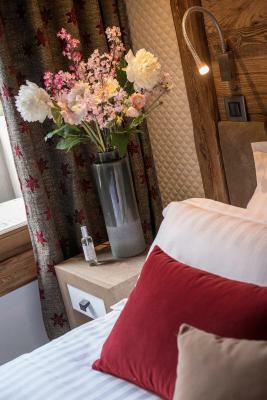 Beautiful hotel in downtown Chamonix, with views of the Aiguille Du Midi. The hotel is in 3 buildings, but all are connected by hallways underground. Pool and spa are very nice, but only open until 8pm, so if you Apres after a day of skiing, you won't have a chance to visit pool/spa. Indoor heated parking garage is wonderful too. The location, the luxury of the room, the balcony, the location of our apartment near the entrance and in the ground floor. Great appartment. Great parking. Very friendly staff. 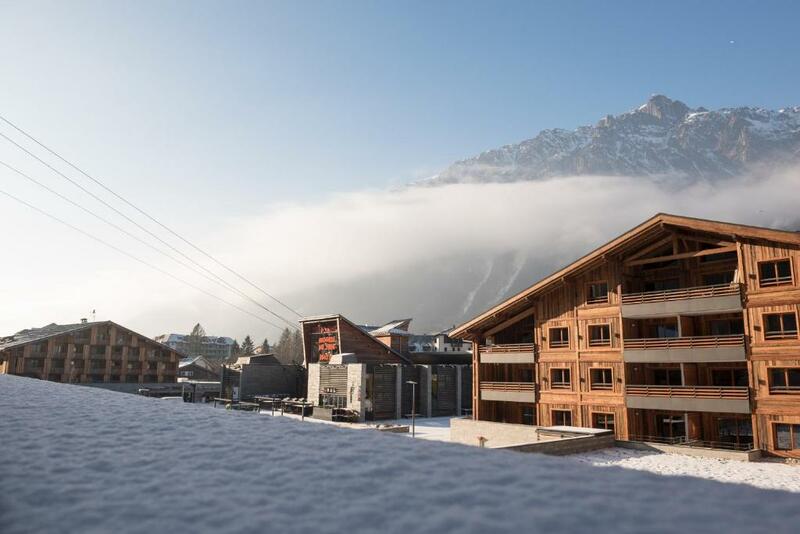 Excellent location for Chamonix. Nice facilities. 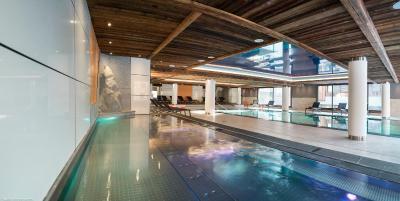 Nice swimming pool, sauna, jacouzy, and steam room. this hotel was great, we travelled for a Christmas party from the UK and found on arrival the staff to be helpful and super keen to make us welcome. The rooms are large, bathrooms great and the beds are very comfortable! Will stay here again! Brand new apartment and quality materials. Comfy beds. Even sofa bed comfortably slept to people. Location next to rental shops and walking distance minutes from Chamonix town and bus station. 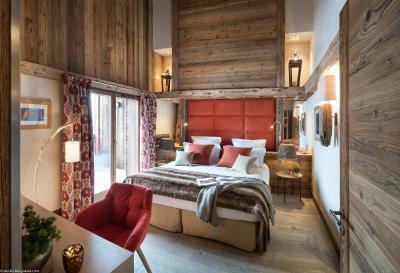 One of our top picks in Chamonix.Located in Chamonix-Mont-Blanc, Le Cristal de Jade features a 3281 ft² wellness center including a swimming pool, a hot tub, a sauna, a steam room and a fitness room. Free WiFi is featured throughout the property and free private parking is available on site. 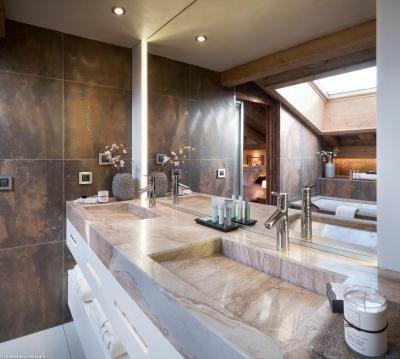 Every suite includes a flat-screen TV with satellite channels, a coffee machine, a wine cellar and a kettle. 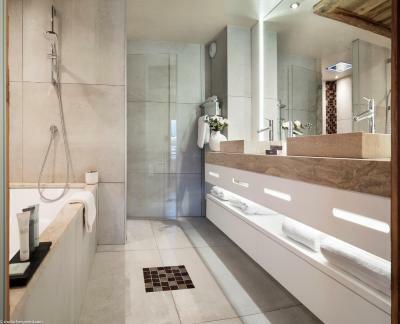 There is also a private bathroom with bathrobes, slippers and free toiletries. 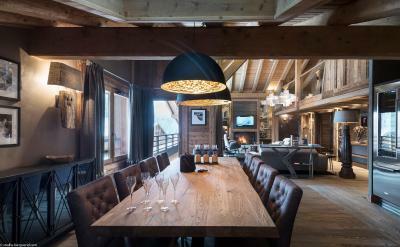 This property is a 1-minute walk from Aiguille du Midi cable car and 0.6 mi from Brevent-Flégère ski area. The free ski shuttle is available 350 feet from Le Cristal de Jade. Geneva Airport is 64 mi away. 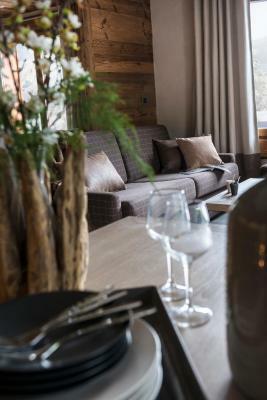 Chamonix City Centre is a great choice for travelers interested in downhill skiing, scenery and nature. 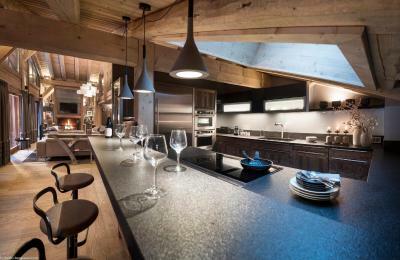 This property is also rated for the best value in Chamonix! Guests are getting more for their money when compared to other properties in this city. 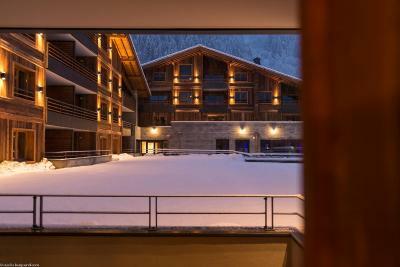 뀐 Located in the top-rated area in Chamonix, this property has an excellent location score of 9.2! When would you like to stay at Le Cristal de Jade? This suite has a balcony, tile/marble floor and electric kettle. This suite features a balcony, a living room and dishwasher. This suite features a balcony, microwave and toaster. This suite has a bedroom, a balcony and a living room. 2 massages of 50 minutes are offered per person. 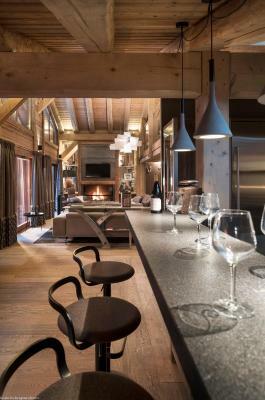 Enjoy an amazing stay at Le Cristal de Jade, the unique 5 stars residence in the heart of Chamonix. 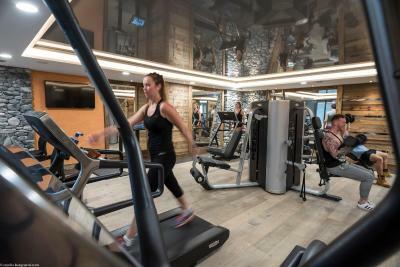 You will have access to all the residence services such as the indoor and heated swimming pool with a paddling pool for children, a fitness room, a parking spot inside the garage and a ski room. 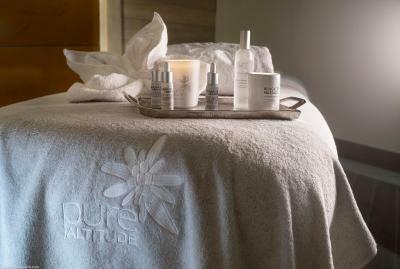 Wellness and relaxation will be part of your trip thanks to sauna, hamman, jacuzzi and spa treatments. Area Info – This neighborhood is a great choice for travelers interested in downhill skiing, scenery and nature – Check location Excellent location – show map Guests loved walking around the neighborhood! House Rules Le Cristal de Jade takes special requests – add in the next step! Le Cristal de Jade accepts these cards and reserves the right to temporarily hold an amount prior to arrival. Please note that for short stays (less than 7 nights), housekeeping will be done at the end of the stay, except for the kitchen corner. For stays of 7 nights and more, middle stay cleaning and end of stay cleaning (excepted kitchen corner) are included. Please note that guests who expect to arrive after 20:00 must telephone the property before 19:00 on their day of arrival in order to organize check-in. Contact details can be found in your booking confirmation. Please note that pets are accommodated for an additional fee of EUR 100 per animal per stay. Please inform Le Cristal de Jade of your expected arrival time in advance. You can use the Special Requests box when booking, or contact the property directly using the contact details in your confirmation. The rooms do not quite look as nice as in the pictures, they are very bare, there is no dressing of the room. Even though you can order breakfast, you still need to pick it up from reception, which is a bit of a trek if you are in the wrong building. I thought the hotel would be very close to a ski lift, which it is, but it is the lift for valley blanche which you can only ski with a guide. So in practice you are a bus ride away from any ski lift. Bus stops outside the hotel they say... but not for the way back... this is how I ended up at the terminus which is miles away from the hotel. They also directed us to a supermarket that was closed, when the Spar (much closer) was open. Also be aware you get charged if you don't hand your keycards back at the end of your stay. Very clean. 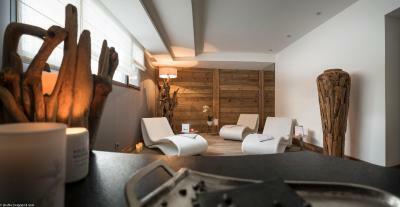 Spa is good, with large hammam, jacuzzi (lukewarm), swimming pool (fairly large), large sauna. Option to order bakery goods for breakfast. Lovely slippers and robes in the room. The transfer facilities to the different ski areas is not really comfortable. The wellness/pool area is not really clean. 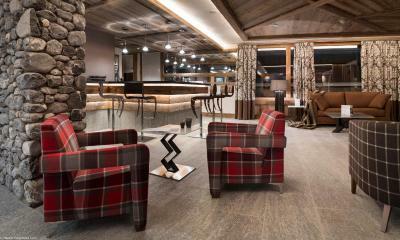 The Chalet, very good and friendly service. The design of the apartment. The ski room and the parking. We thought it was odd that we had to thoroughly clean our room and call reception to come verify that the room was clean before we were allowed to check out. Also, the thermostat in the room wasn't working, so our room was very warm most of our stay. If they made the checkout process less formal, that would leave a more pleasant experience as you leave the property. Fabulous apartments. Very happy with our stay. Lovely apartment. Beautiful facilities. Great staff. 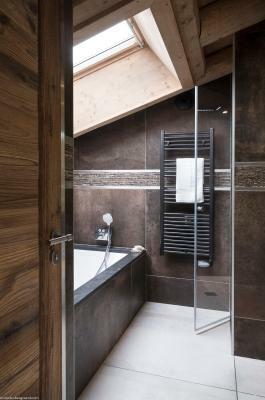 Only criticism was that the lighting in the bedrooms was so minimal it was hard to see clothes etc. The lighting in the bedroom is the only thing i could fault with this property. It is very cosy, however could do with a big light as well as the side lamps as it quite dark. Such great quality. The sauna/steam room facilities were a great bonus. The apartment was so cosy and clean and great customer service provided. nice place, fancy apart, good kitchen with equipments Recommend! First time ever we loved everything: new and super clean, in the apartment you have everything to feel like home starting from trash bags to plates dishes, brand new oven, washing machine and even wine storage. A lot attention to details. feels like everything was done specially for you. Car parking and ski storage at level -1. Super friendly and caring staff. Location is perfect, close to main road but quiet and calm inside. Will definitely return back!! !